If you are observant you have probably noticed that we've added a new brand to our site. This brand is called mFortune and the casino was founded back in 2007 already. Although we only discovered mFortune a couple of weeks ago. And we have to say that we've really missed something cause this is a casino that really offers something extra for players. The special thing with mFortune is that you won't find the ordinary slots from Netentertainment and Microgaming here. Instead mFortune produce all games in-house which means that you will get a unique gaming experience when you sign up at this casino. 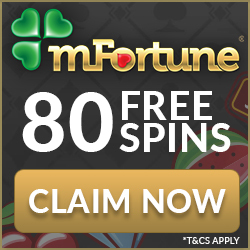 As a new member of mFortune you will get an amazing start thanks to a really generous no deposit welcome offer. All players get to try the casino for free but we are certain that you are going to continue playing at mFortune after you have used your no deposit offer. To claim the no deposit offer at mFortune you simply have to sign up. This is an easy process that can be done on both mobile and desktop. 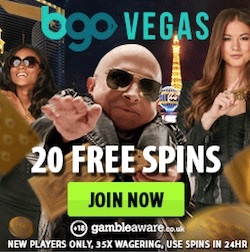 When you have completed your registration you will get 50 free spins with no deposit required. 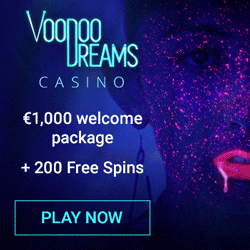 You can use these spins on optional slots in the casino since the spins comes as a no deposit bonus worth €5. In additon to this free money you will get 30 extra free rounds when you download the slot of the month which is Buck-a-Reels. Claim your welcome gift for free at mFortune! As we mentioned mFortune only offer unique game from the in-house developer In Touch Games. There are loads of different slots and table games to choose between. And the best part is that In Touch Games develops a new slot every month. So every month you can make a visit to mFortune in order to try a brand new slot. 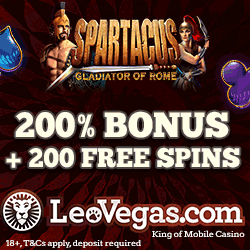 And when this happens all players get 30 free spins with no deposit required to try the new game with. 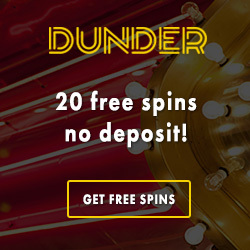 The only thing you have to do if you want these no deposit spins is to download the new game. If you ever make a deposit to mFortune you will get a matching welcome bonus. You get no less than 100% extra to play with up to £100 which means twice as much to play with on all unique games from In Touch Games.